The Confederation of African Football (CAF) president, Issa Hayatou, on Wednesday expressed their condolences with the president of Nigeria Football Federation (NFF), Amaju Pinnick, and Nigerians on the death of former Super Eagles Coach, Stephen Keshi. Hayatou in a statement on CAF website expressed his “dismay” and “immense sadness” at the death of the former Eagles’ captain. He paid glowing tribute to the deceased, who was the only African coach to qualify two African teams to the World Cup – Togo in 2006 and Nigeria in 2014, the News Agency of Nigeria (NAN) reports. “’His other enviable record was being the only African trainer to have steered a team to the Second Round of the FIFA World Cup, with Nigeria at the 2014 FIFA World Cup in Brazil. “He had achieved the same feat as a player with the Super Eagles at the country’s maiden participation at the Mundial in 1994, in USA. 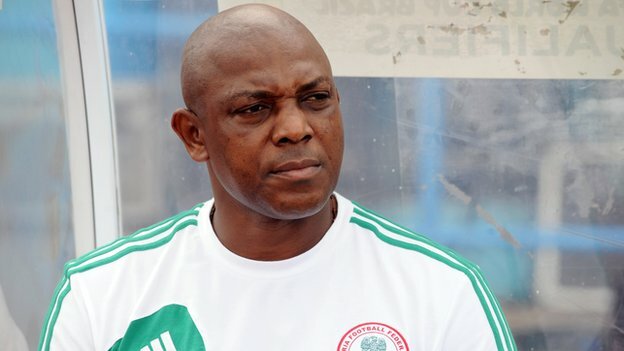 “’The CAF president conveyed the condolences on his own behalf, the CAF Executive Committee and African football family on the demise of Keshi, who was a jewel to his family, friends and the Nigerian football family, who are badly affected. “This is a man, who was twice winner of the Africa Cup of Nations with Nigeria; in 1994 as captain and in 2013 as a coach, with the latter earning him the distinction of Coach of the Year at the Glo-CAF Awards,” NAN quoted the CAF president as saying in the statement.